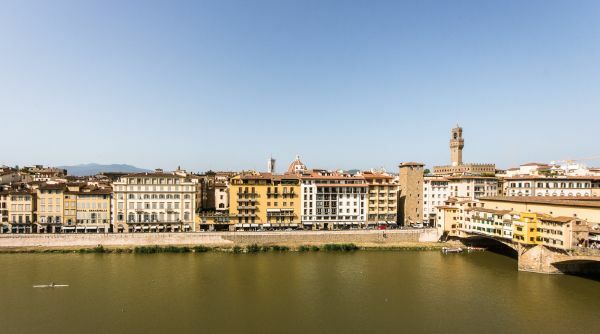 An exclusive location only a few steps away from Ponte Vecchio, immersed in the authentic atmosphere of the Oltarrno area. 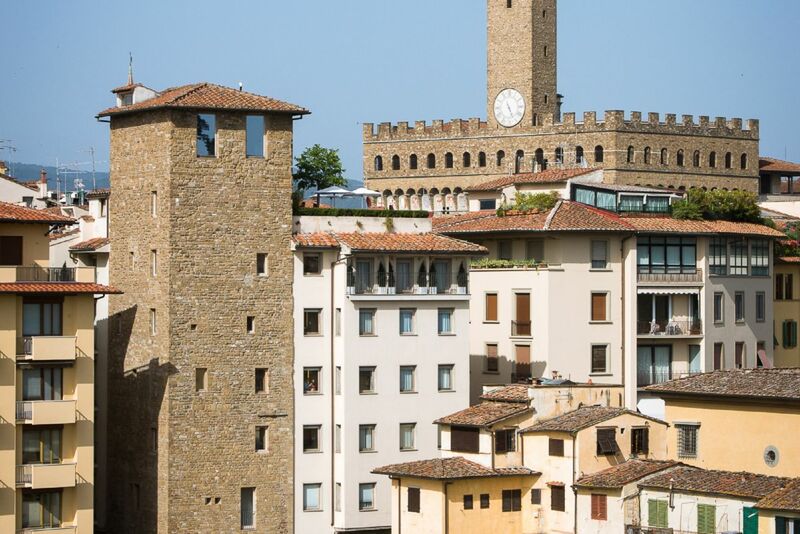 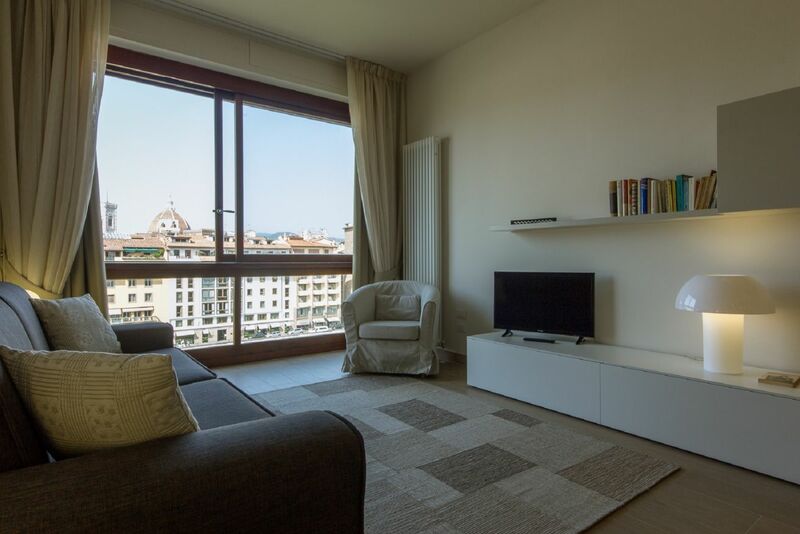 This apartment is located on the sixth floor with elevator – very rare feature in downtown Florence! 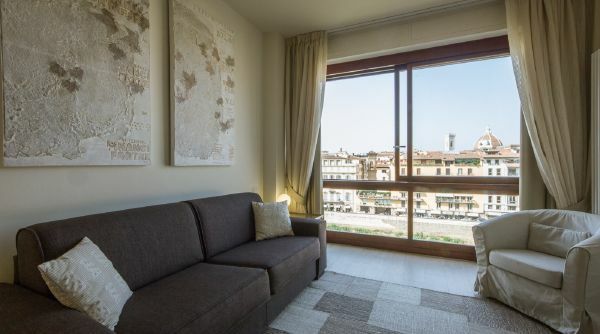 - of an elegant building set on Borgo San Jacopo, a charming street in the Oltrarno area, set just a few steps away from Ponte Vecchio. 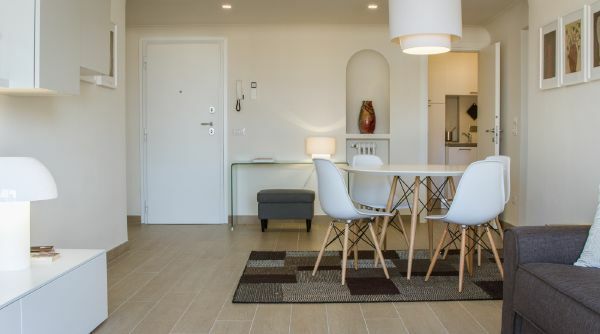 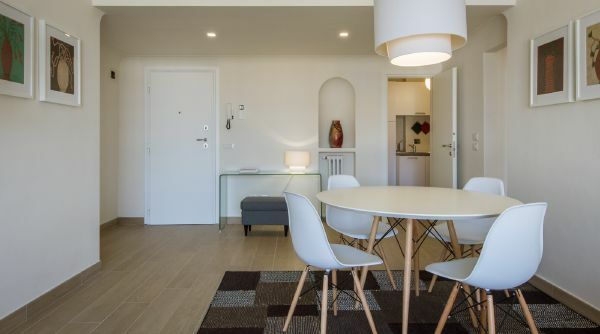 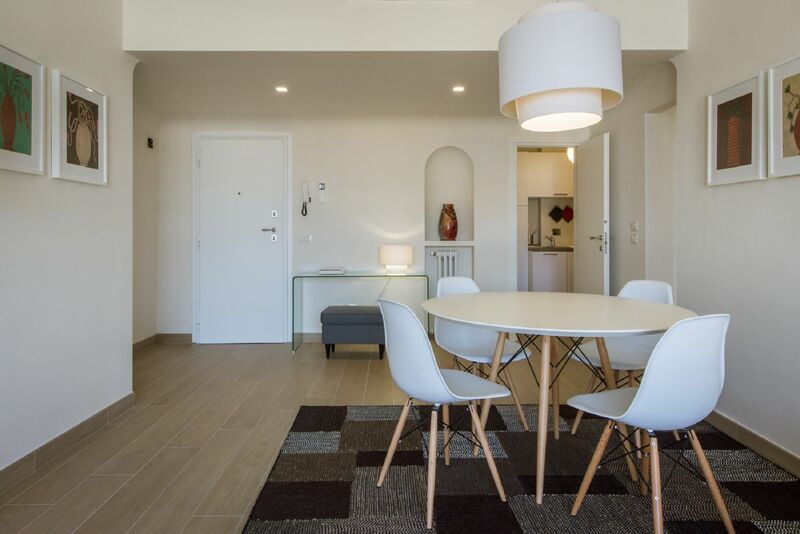 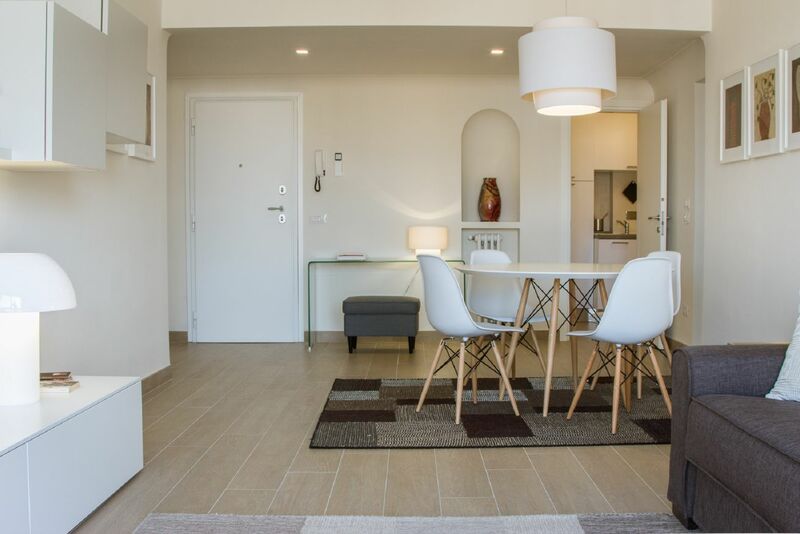 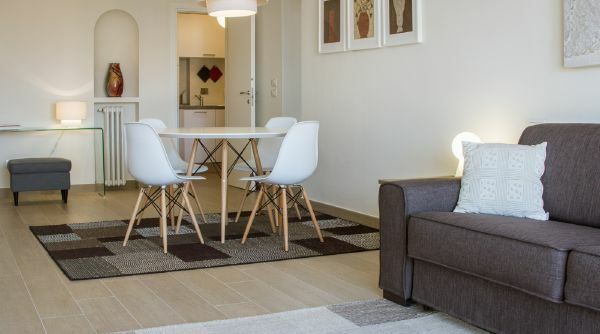 The whole place exudes elegance and good taste, thanks to the recent and refined renovation which combines comforts, contemporary style and rustic, colorful touches. 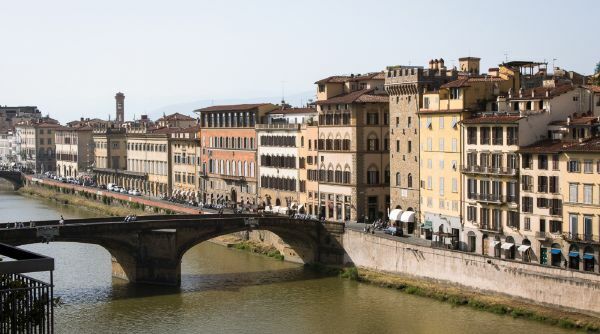 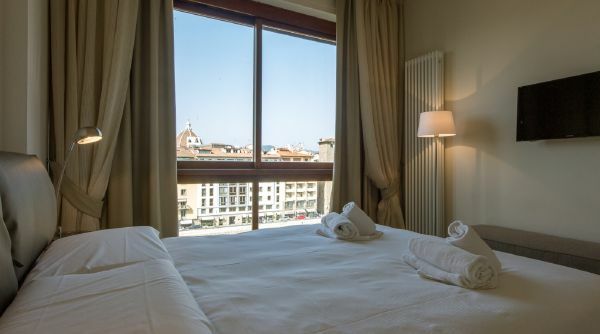 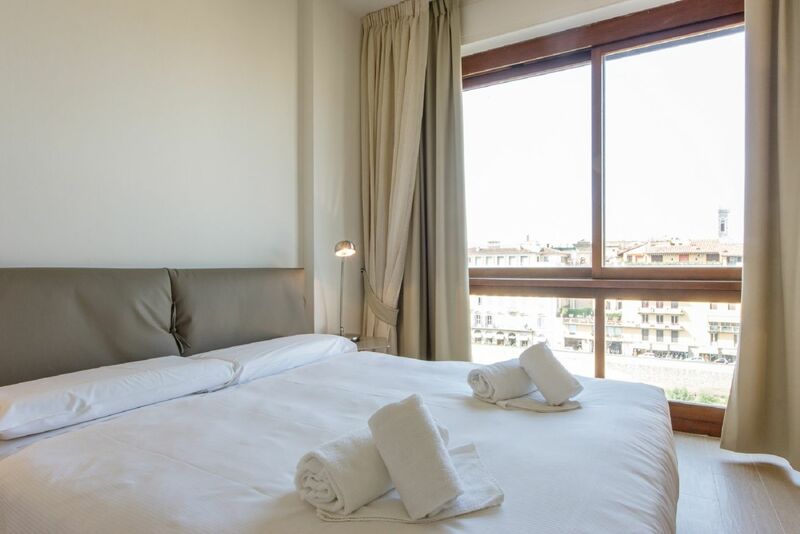 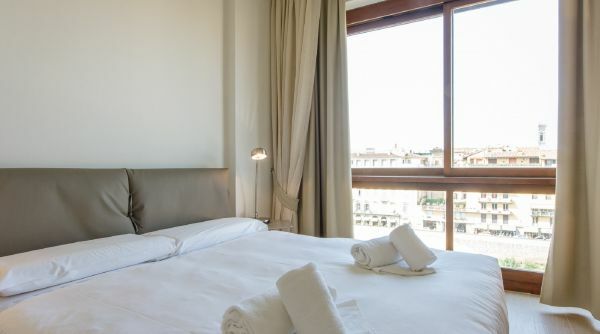 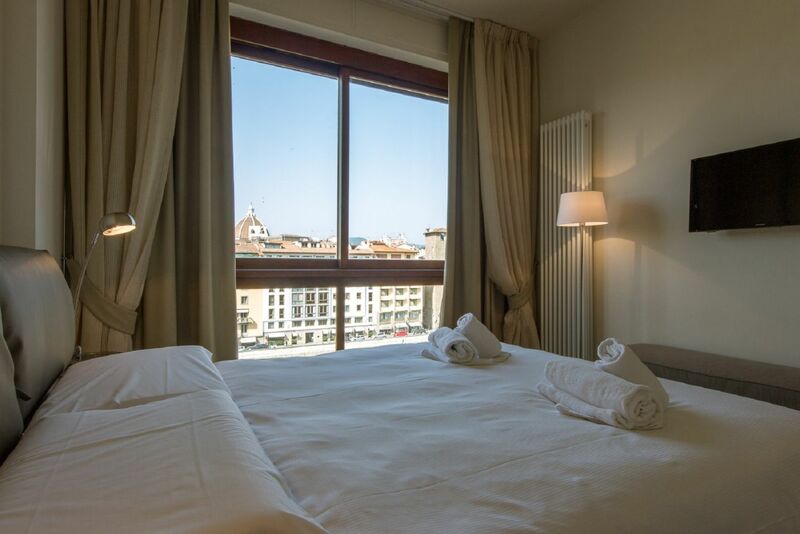 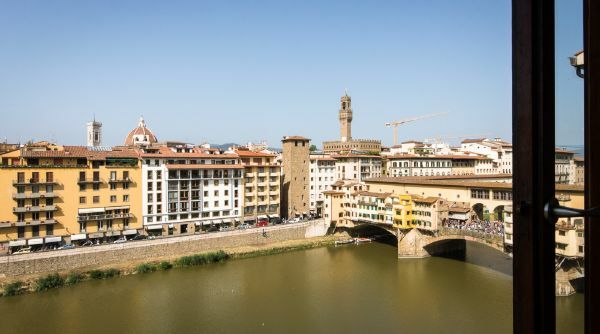 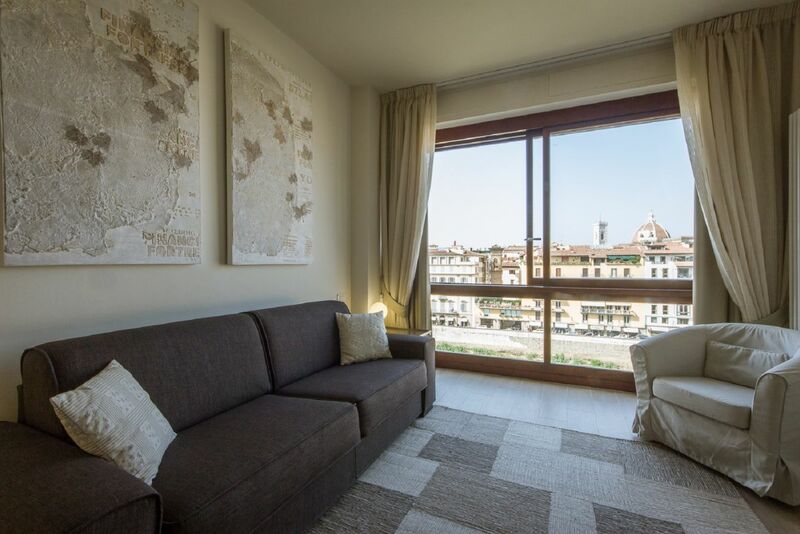 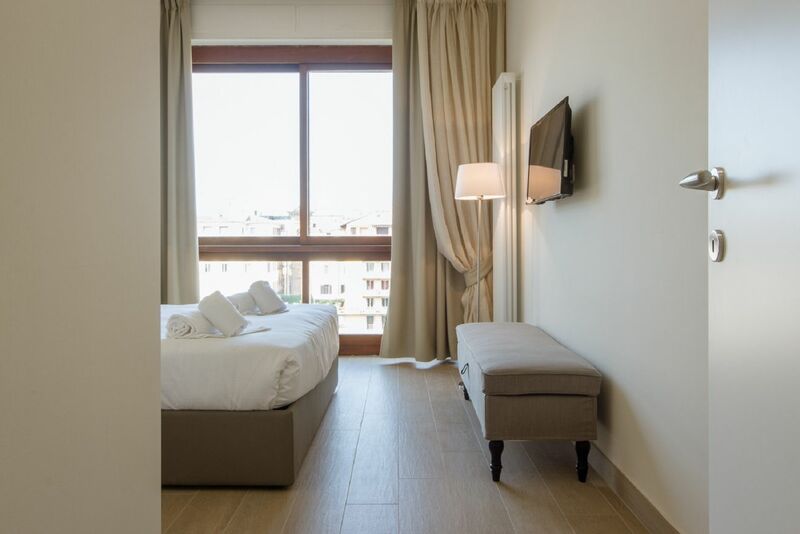 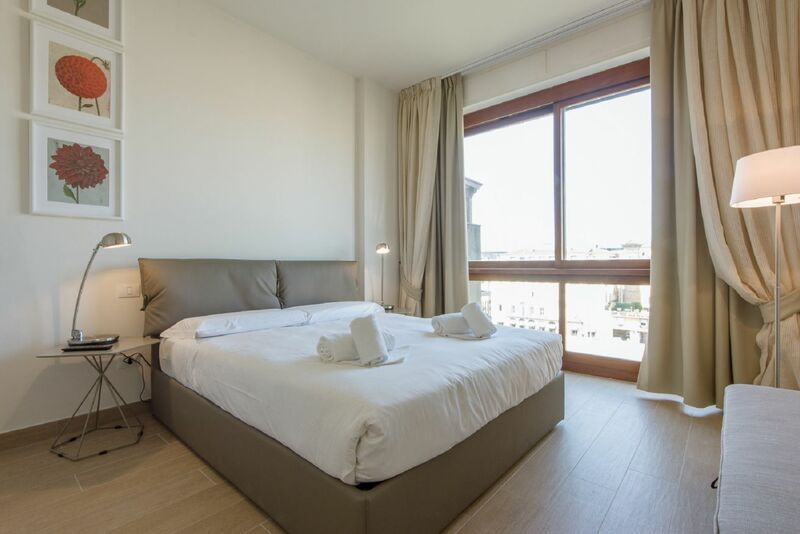 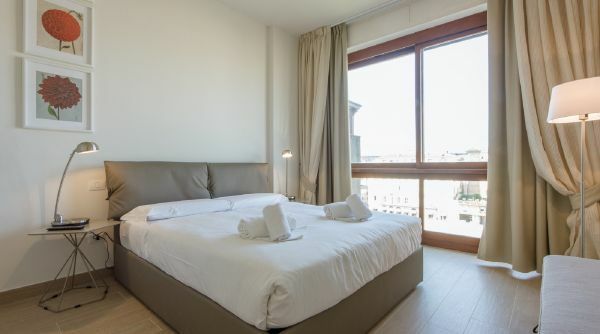 Natural light literally floods the place thanks to the sunny windows offering stunning views of Ponte Vecchio and some of the most important monuments of the city. 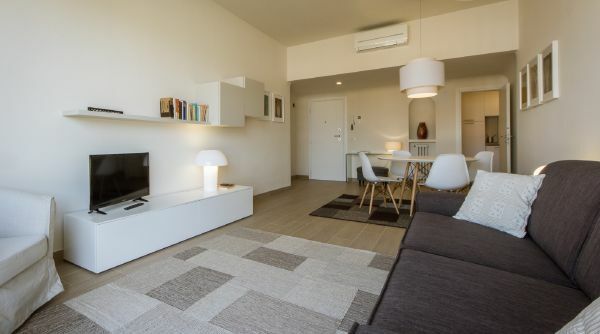 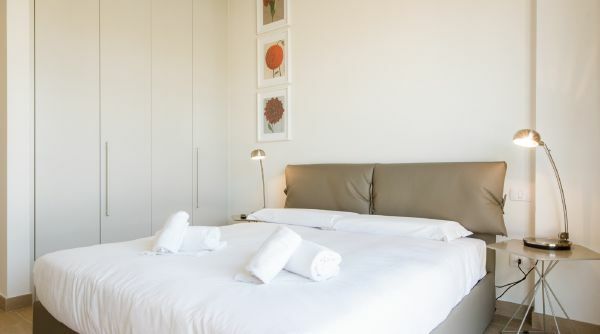 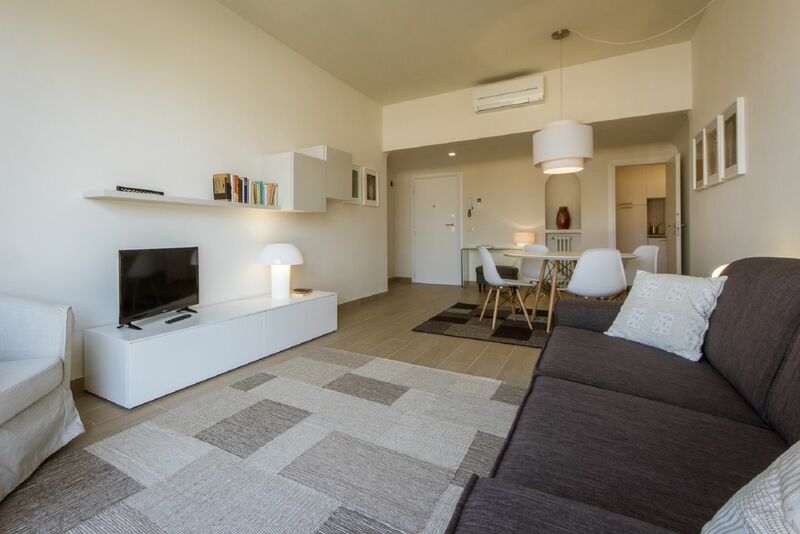 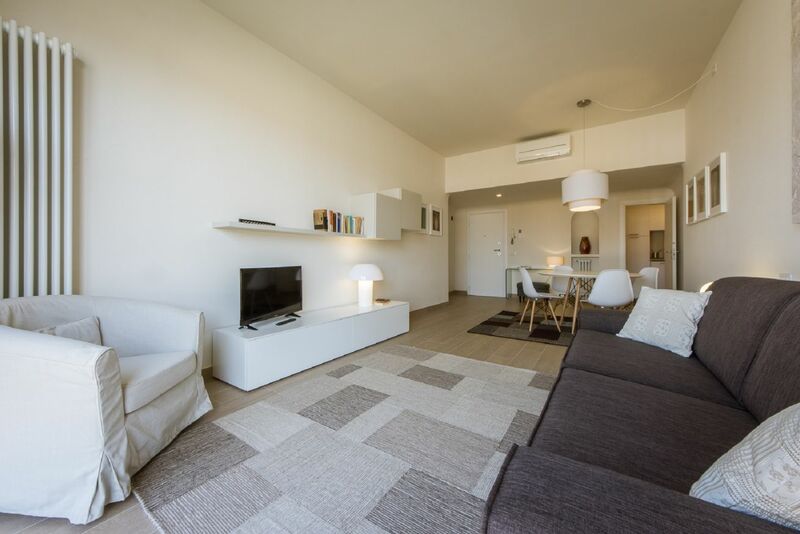 The wonderful living area is very spacious and bright, equipped with a cozy sofa bed, dining table and flat screen Tv. 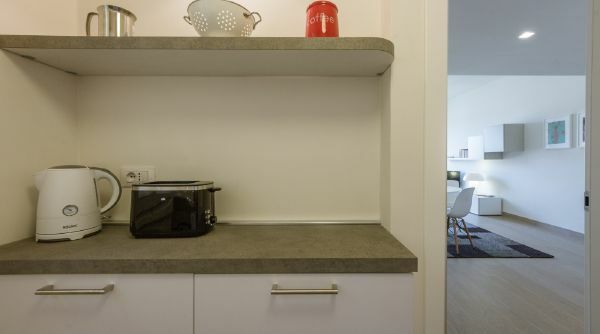 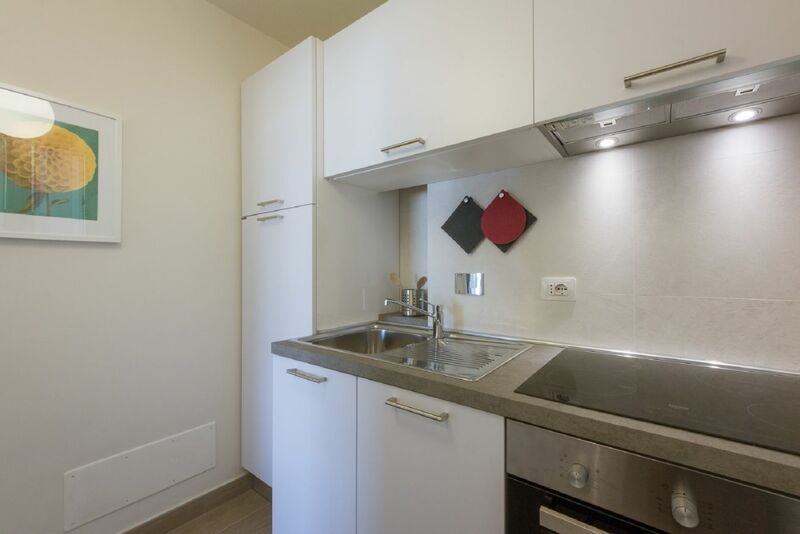 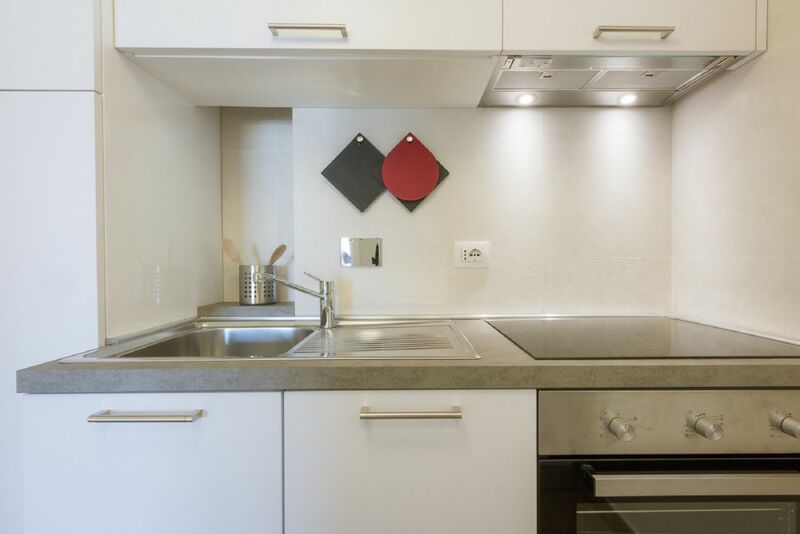 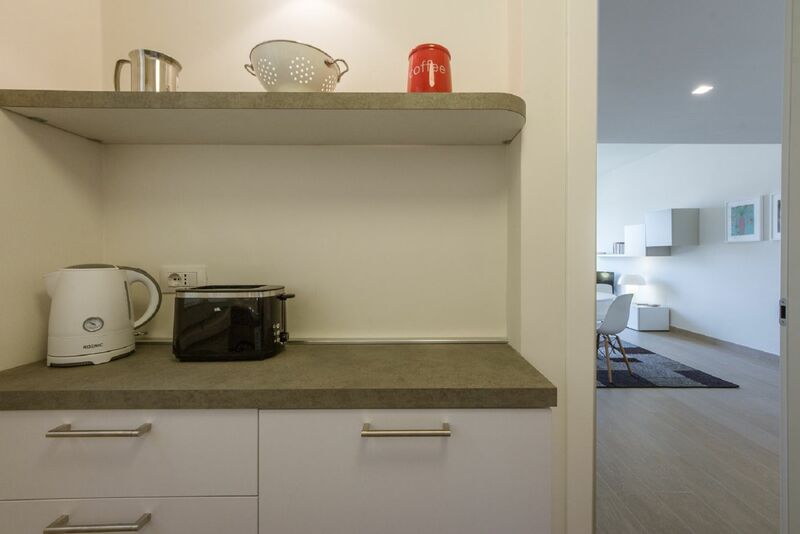 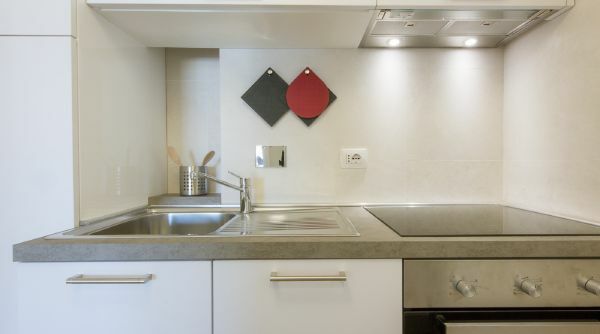 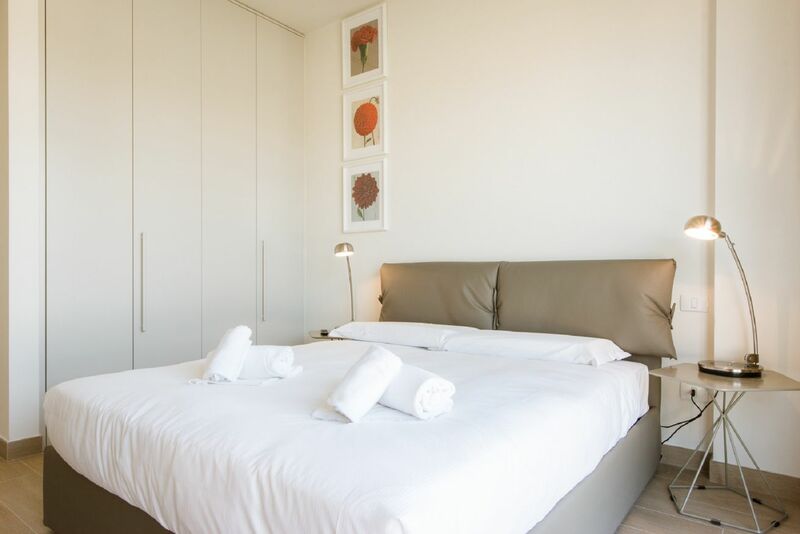 The adjoining kitchen is modern and fully equipped for you ti be able to enjoy a home cooked meal whenever you feel like staying in for the night. 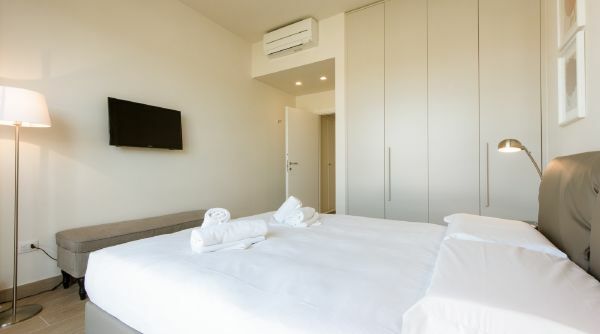 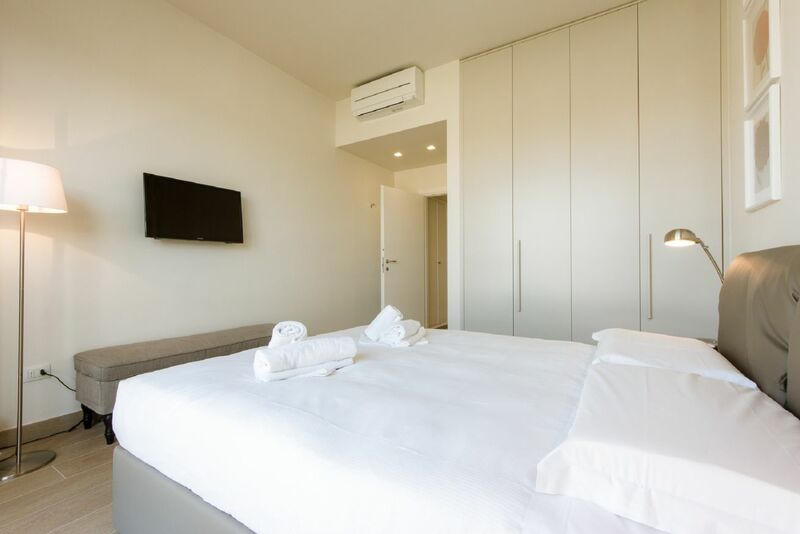 The master bedroom is also very bright and welcoming feeling, equipped with a comfortable queen size bed, a large closet and flat screen TV. 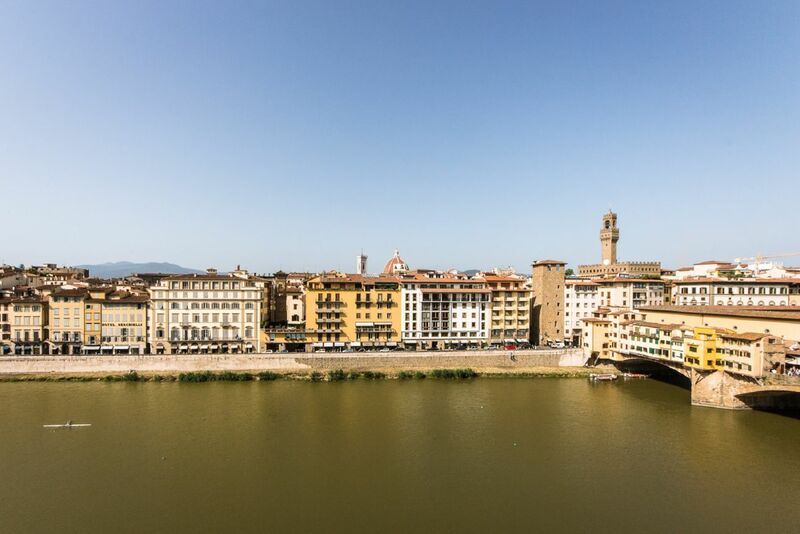 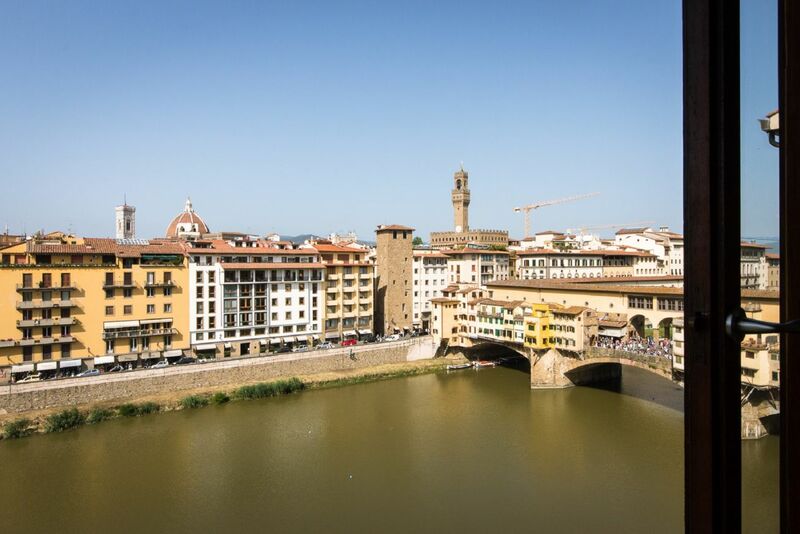 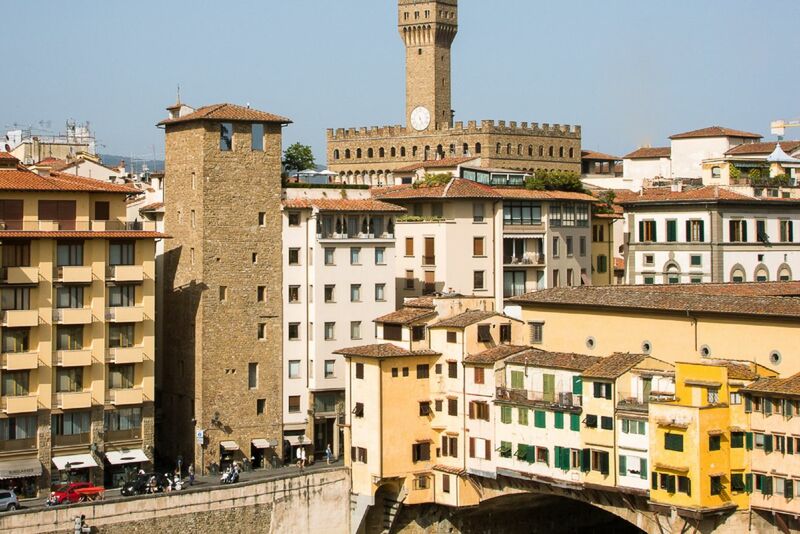 The view from the bedroom window is just breathtaking: you can see Ponte Vecchio in all its glory! 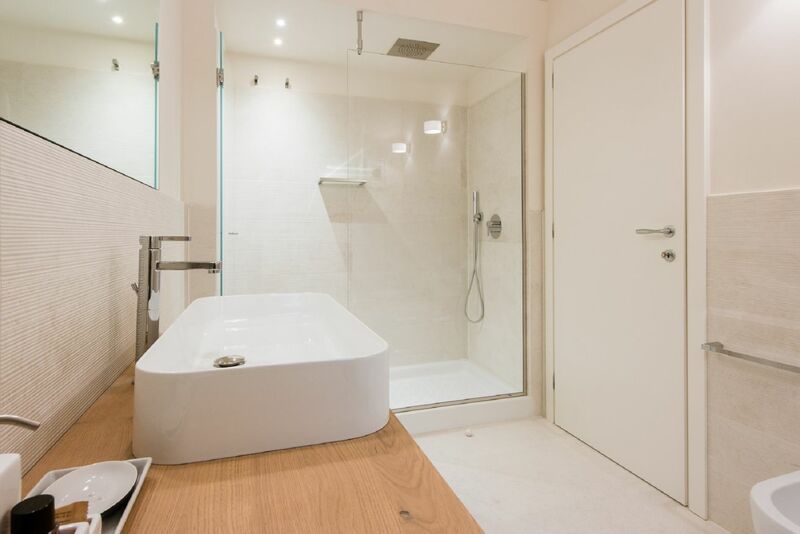 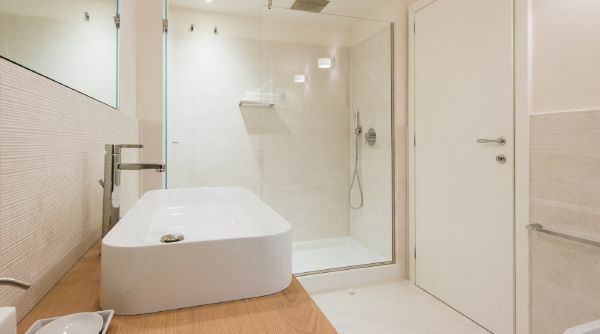 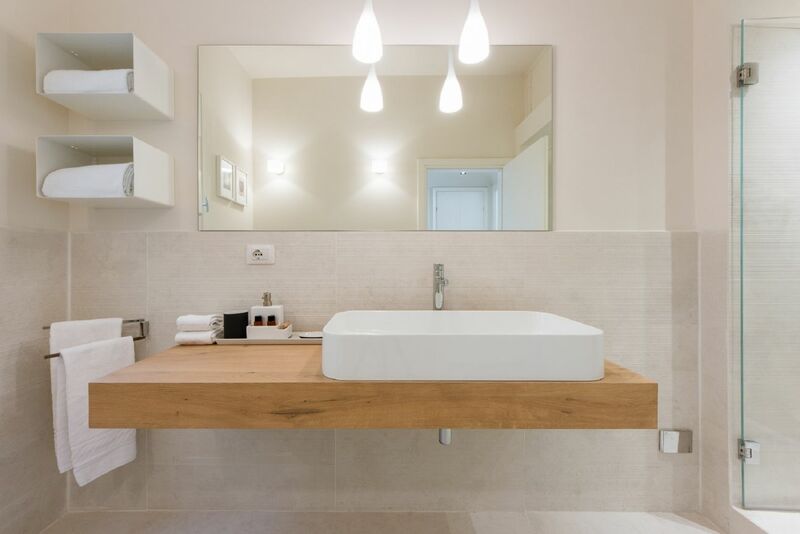 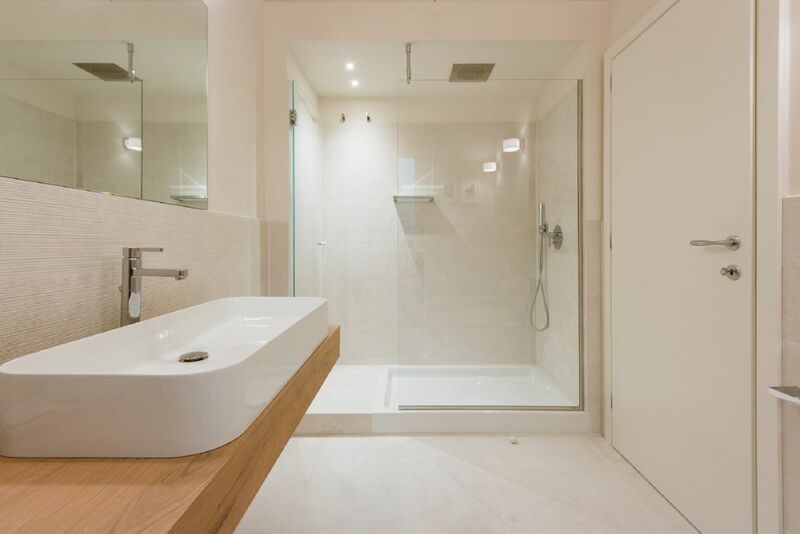 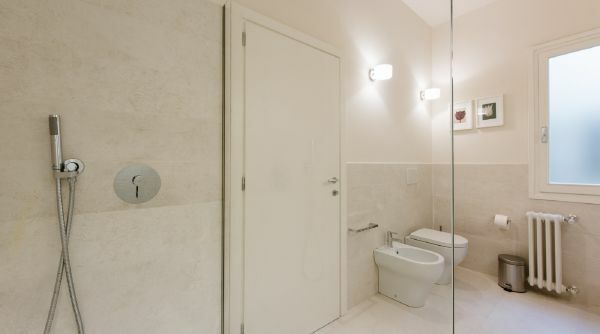 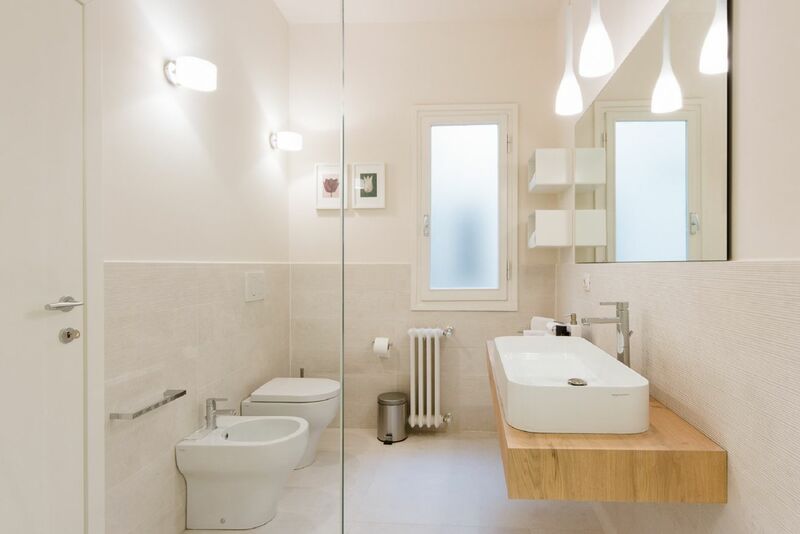 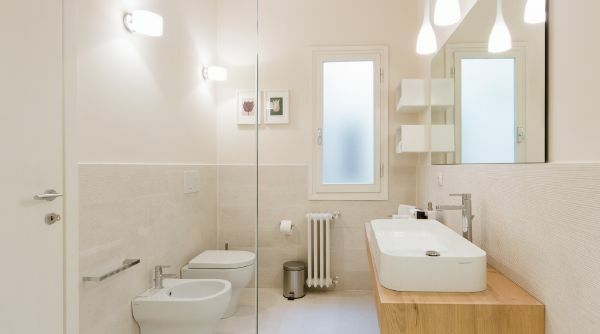 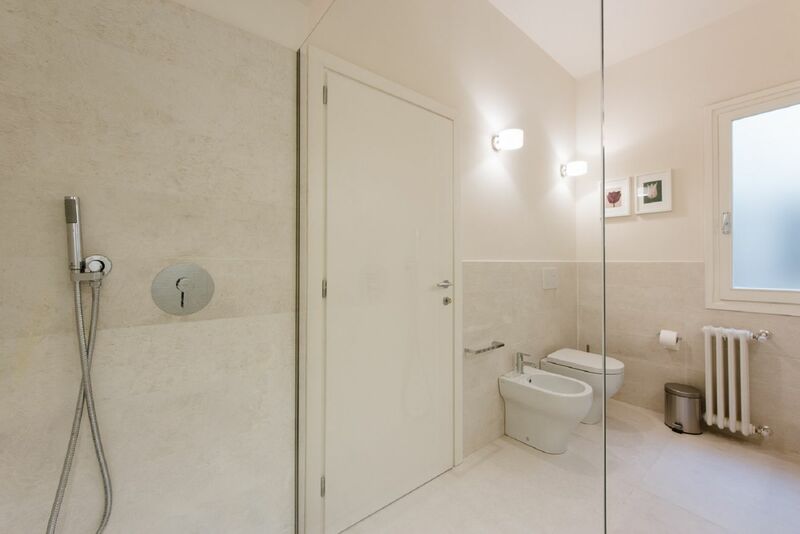 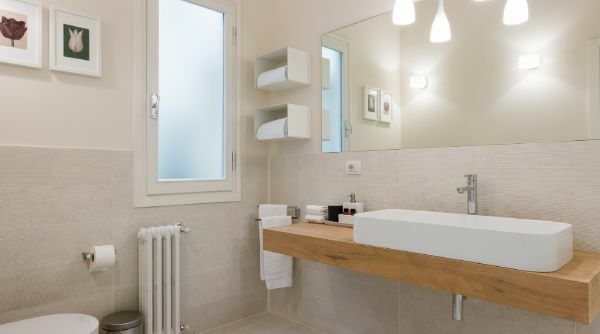 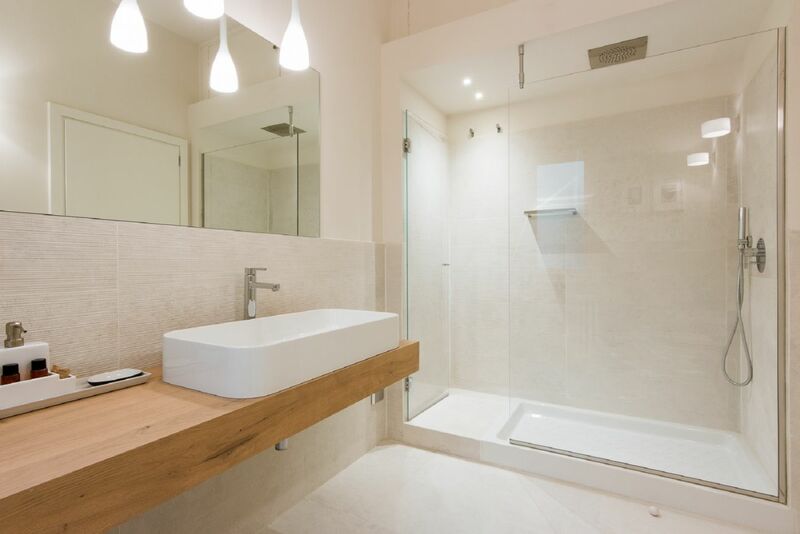 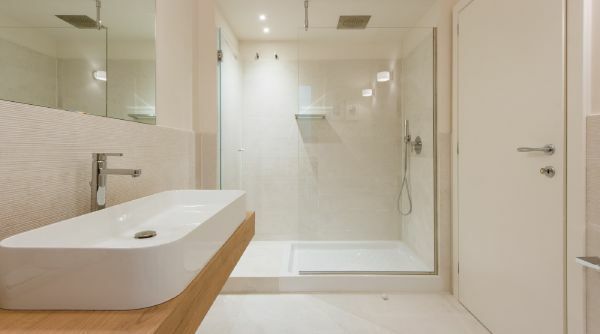 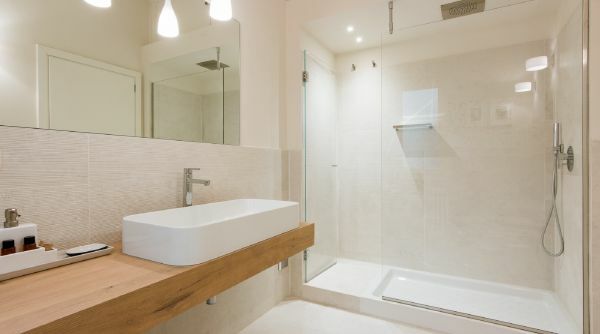 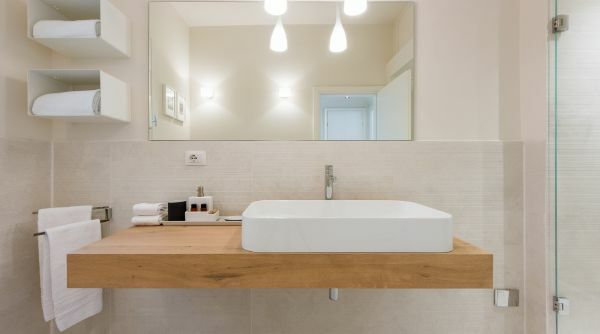 The wonderfully renovated bathroom is provided with a large walk in shower. 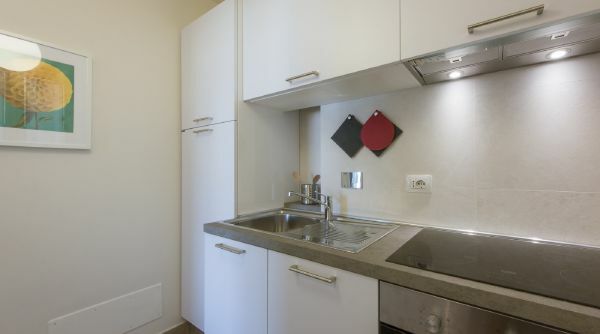 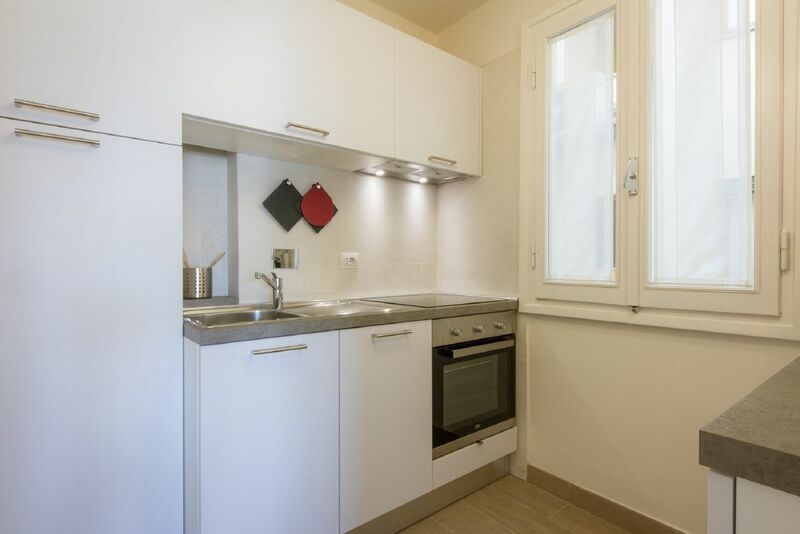 This unique apartment is ideal for any kind of traveler who wish to experience Florence staying in a charming and well located apartment. 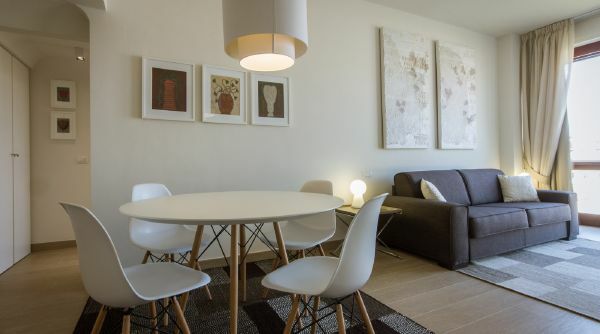 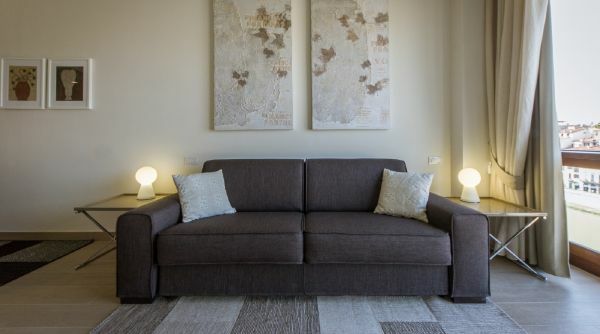 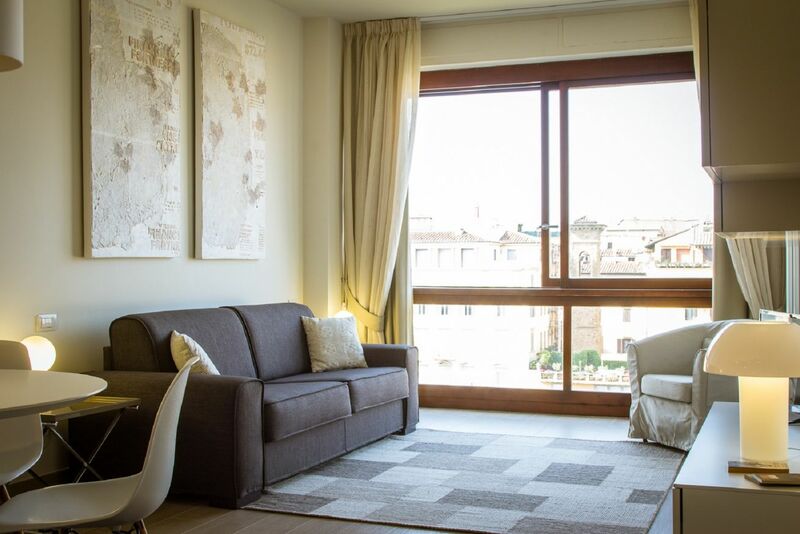 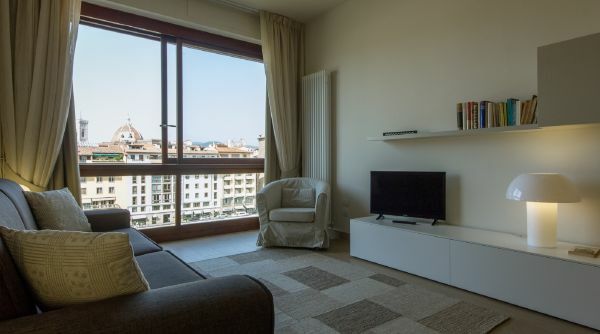 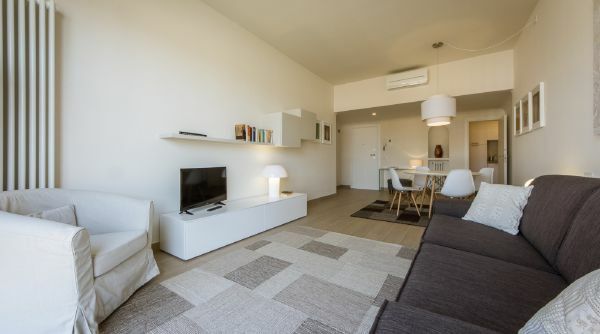 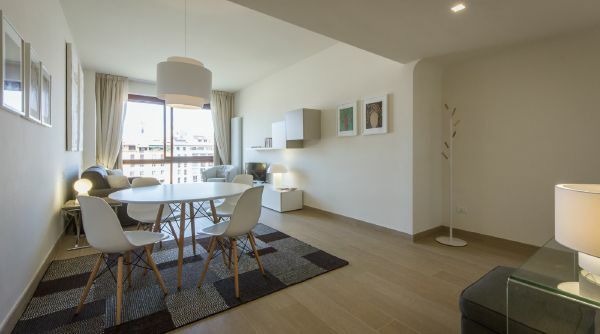 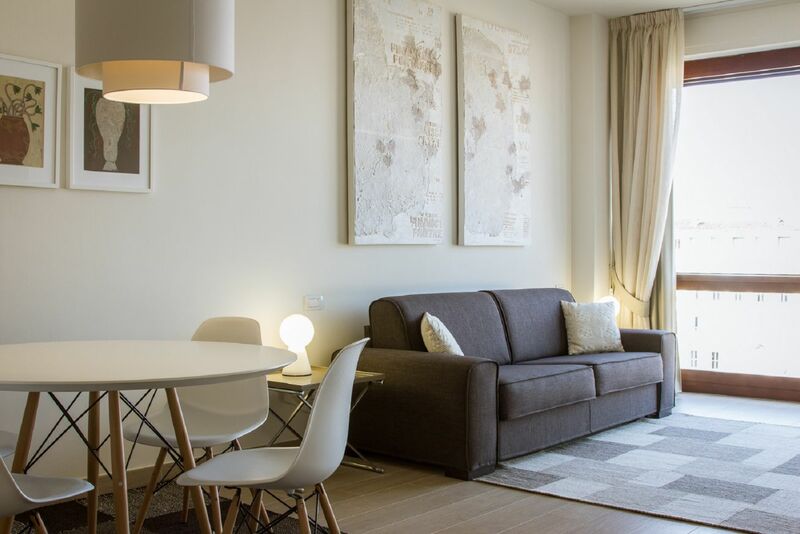 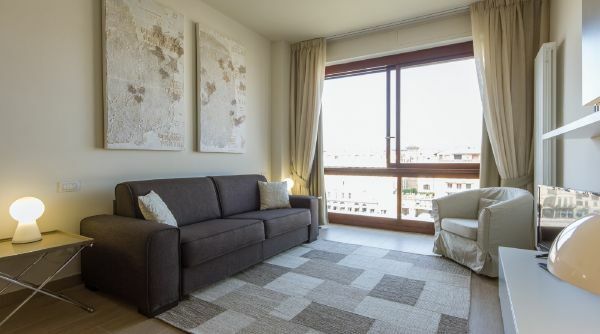 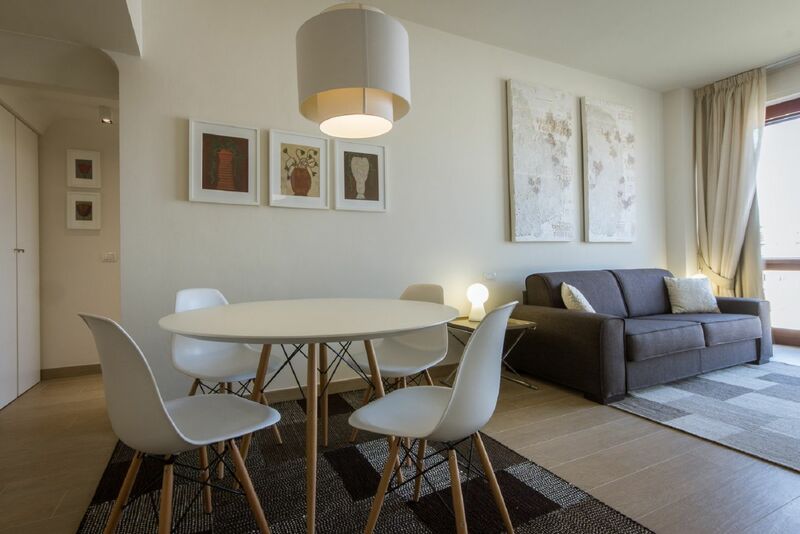 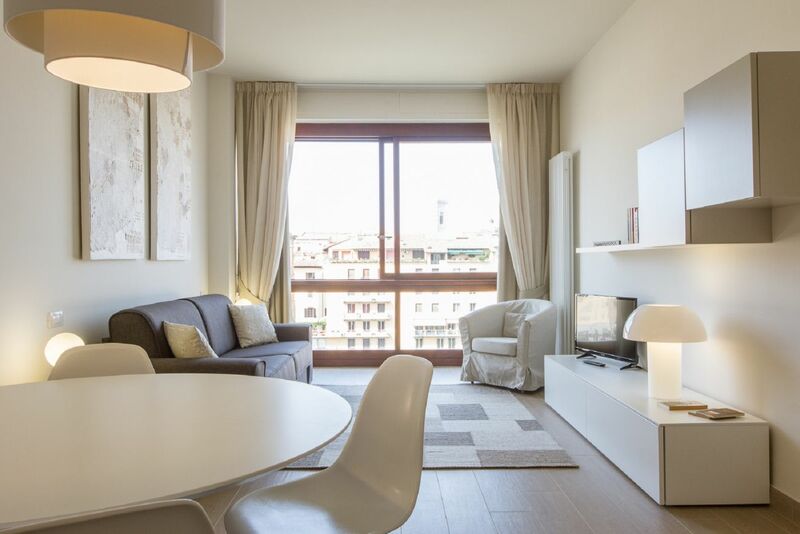 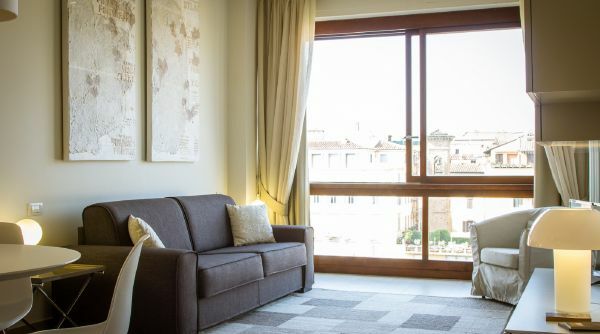 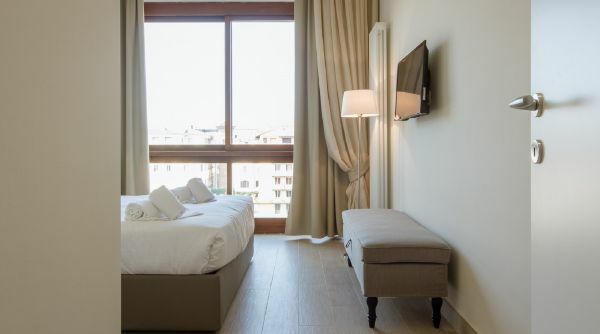 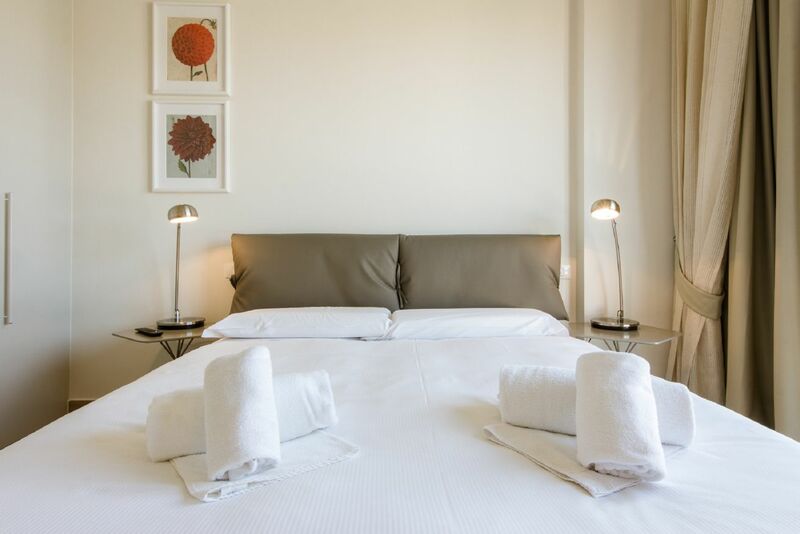 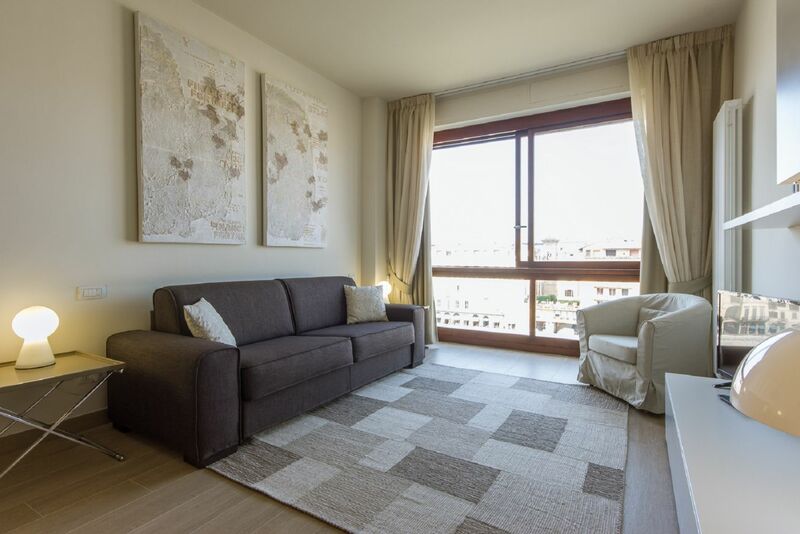 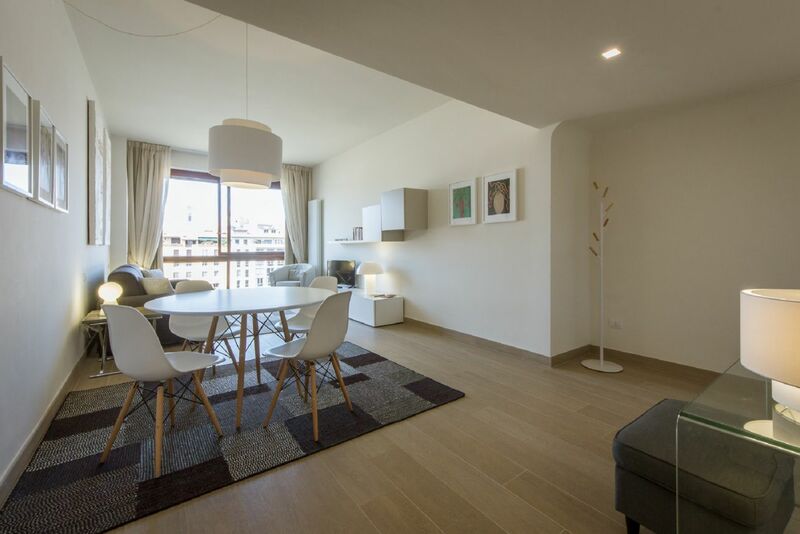 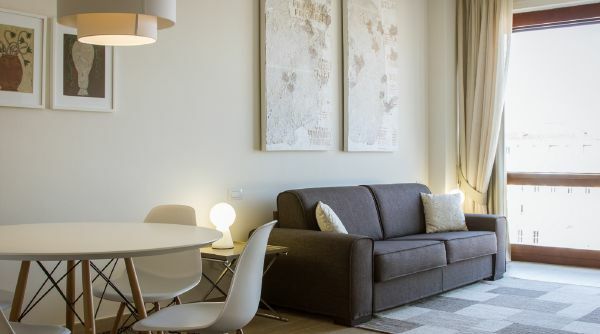 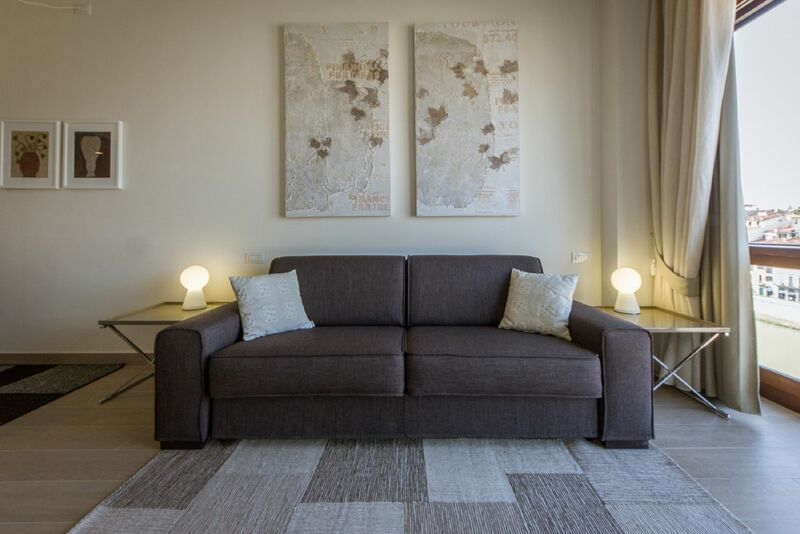 Choosing this apartment you'll get the chance to stay in a comfortable prime choice location, just a few steps away from Ponte Vecchio and nested in the Oltrano area, a typical and lively neighborhood full of boutiques, charming cafès and some of the city’s most well-loved restaurants. 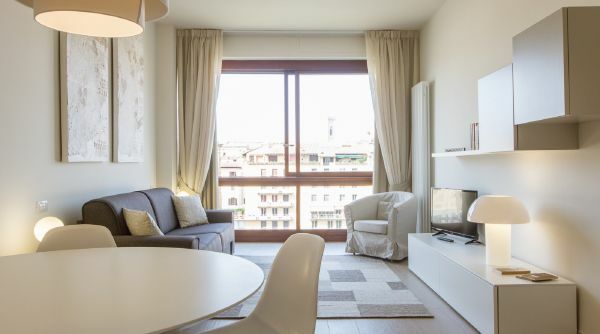 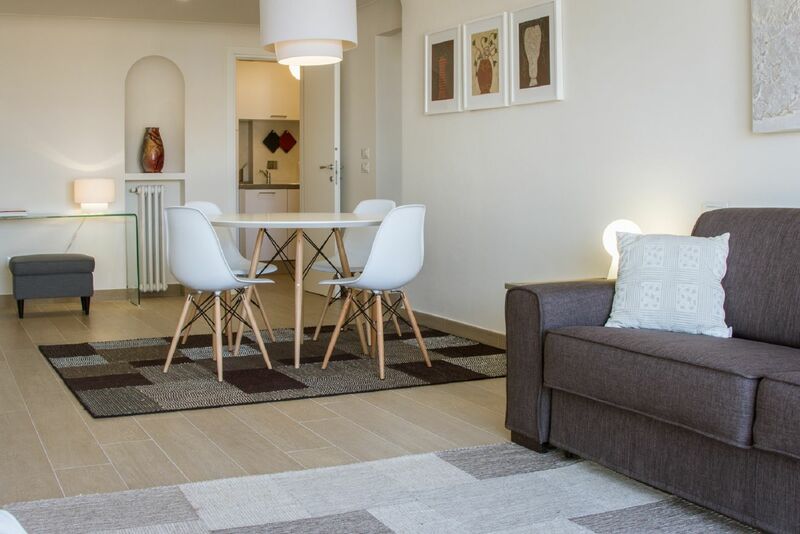 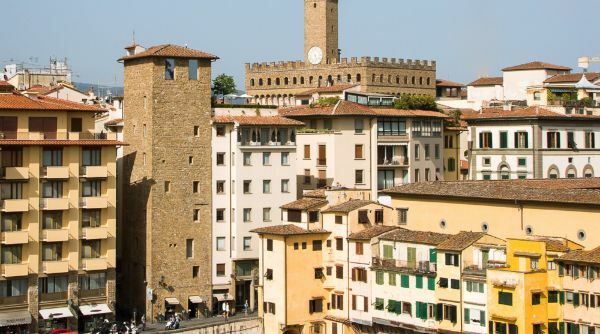 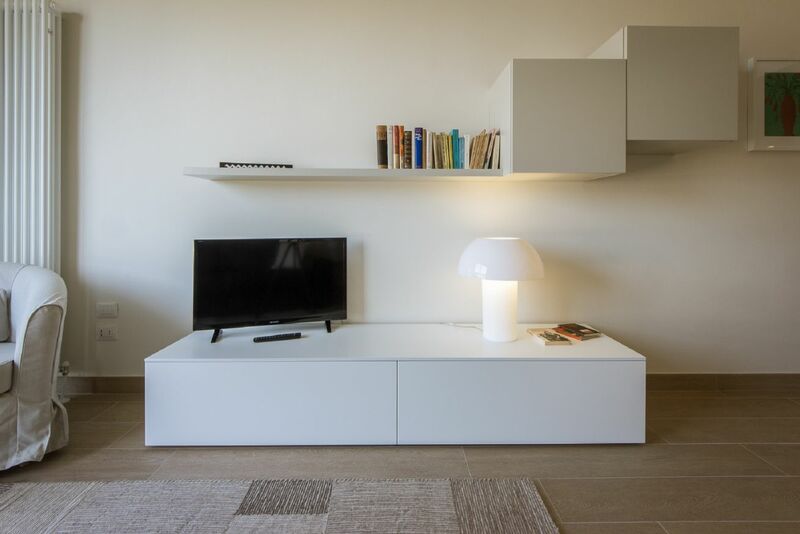 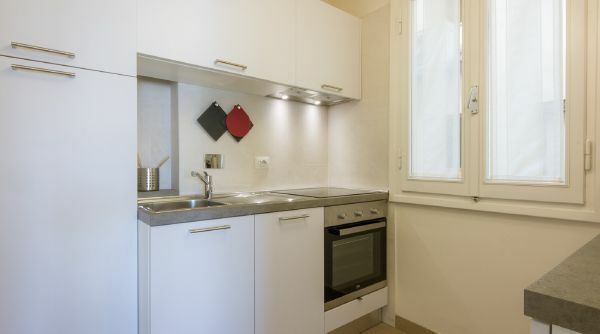 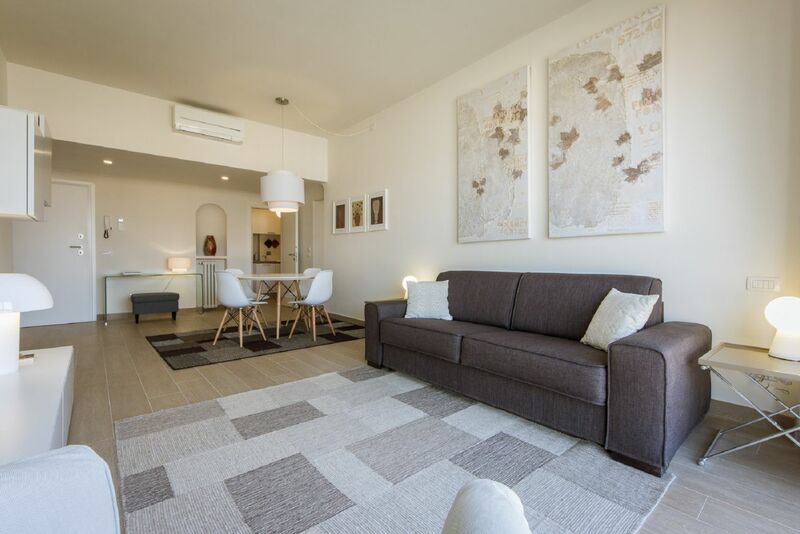 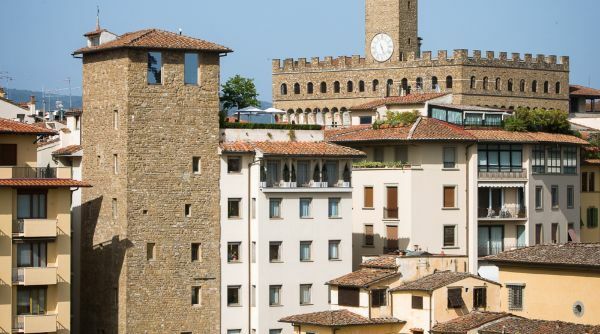 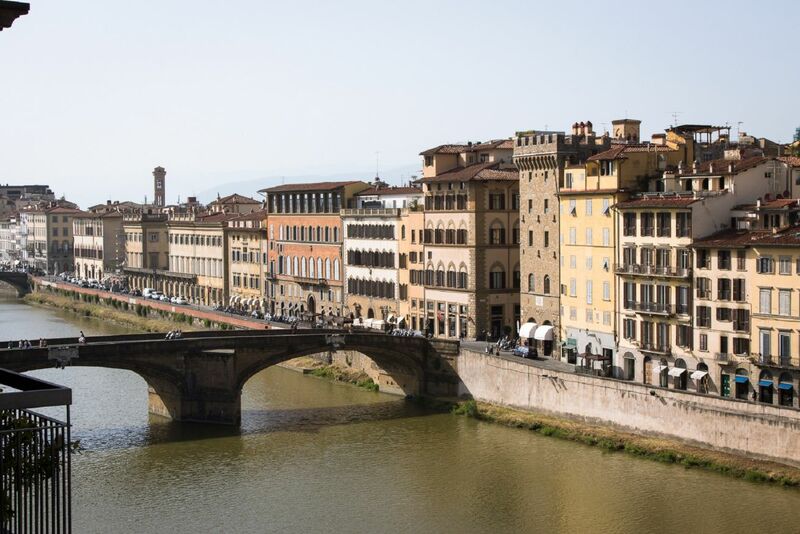 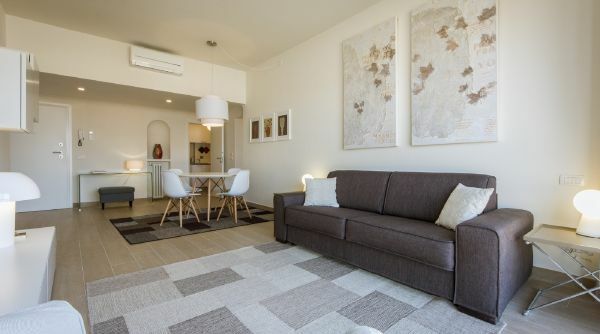 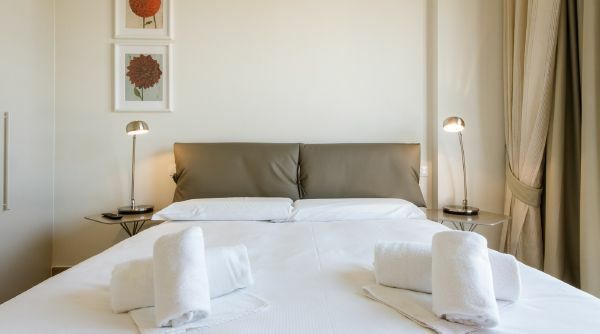 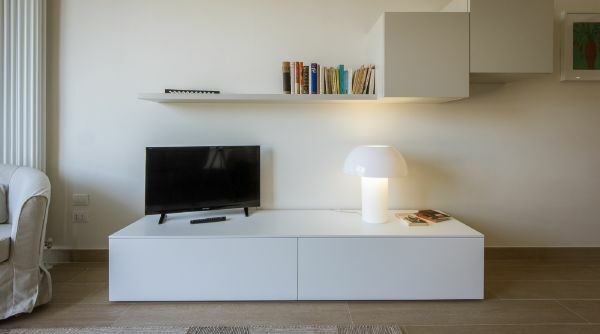 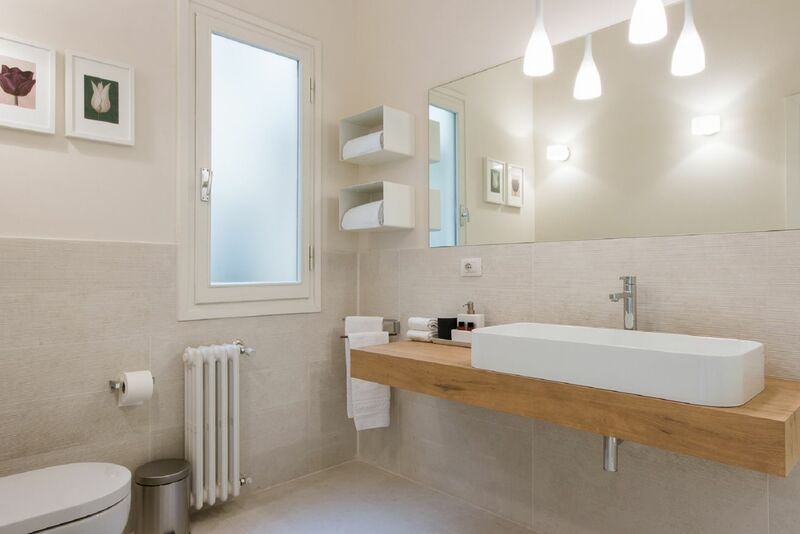 This apartment sure represents an exceptional starting point to explore all Florence on foot, being within walking distance from all of Florence's beautiful monuments and museums.